"We miss you Keith. We wouldn't be able to achieve as much as we have without your enthusiasm for this project. Our film will be a celebration of your life." The event will happen Saturday, May 28 at the El Rey Theatre. More news to come in the coming months. For over forty years, Keyboard virtuoso Keith Emerson has been entertaining the masses with his particular brand of Prog Rock. During that time he has filled out stadia's across the world. Pictures of an Exhibitionist is the name of Keith's auto-biography written back in 2003, after he underwent surgery on his hands. This documentary adaptation goes back to interview the characters in his life from his childhood to today. 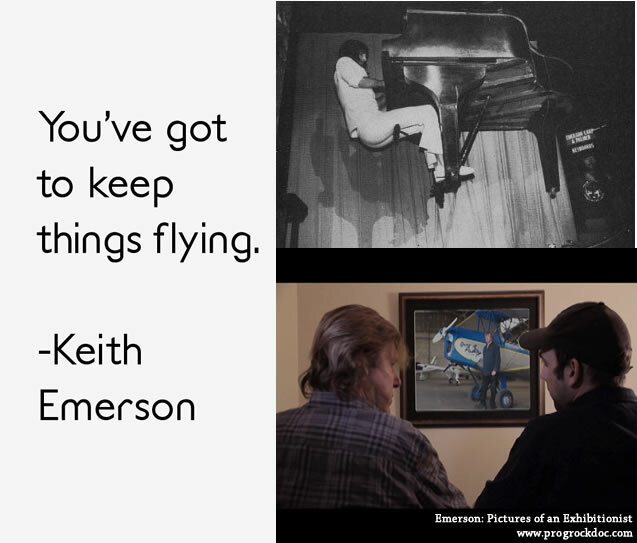 Keith Emerson played an important role in the alternative rock and roll scene that rose out of the ashes of the popularity of "radio friendly" groups like the Beatles. Emerson Lake and Palmer, dominated that scene from 1970 - 1977 catching the vibe of a generation wanting more than the latest riff and brought back a renaissance of classical music among Emerson's orchestral jazz/rock/fusion works. He continues to push the boundaries and is now composing work for Orchestras across the world. 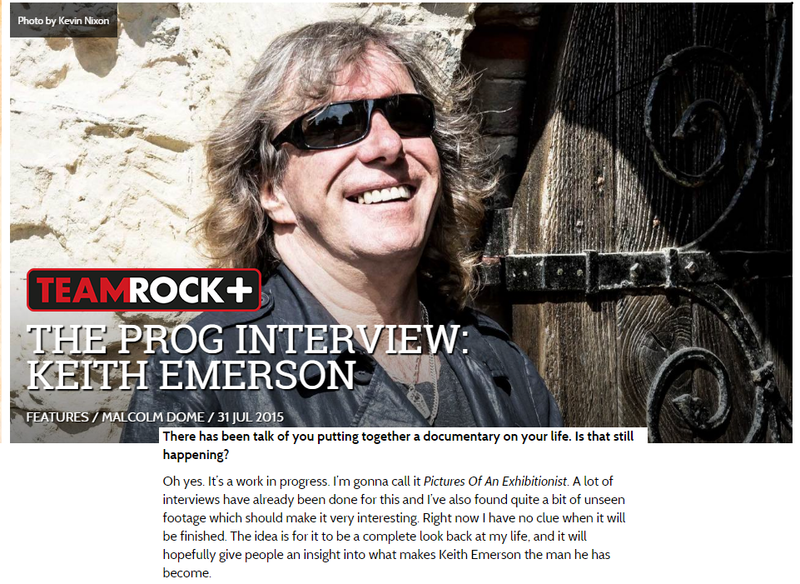 Over 30 interviews since 2007, including those of Rick Wakeman (Yes), Jordan Rudess (Dream Theatre),Greg Lake(King Crimson & ELP),PP Arnold, Andrew Loog Oldham (ex Rolling Stones Manager) and original members of Keith's group The Nice (Brian Davison, Lee Jackson and Davey O'List). Thank you to all our supporters thus far, we have some news coming in the near future!